22 Nov 2018, 3:19 p.m. Things have been a bit quiet because I've been taking a break, but new things are coming. The next release, due next month, is going to focus on user interface improvements. 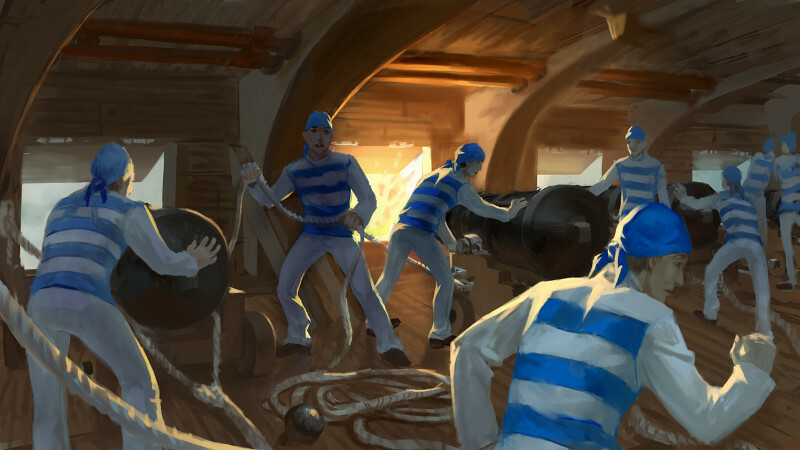 After that, I'll be working on the previously described long-term improvements to conquest. Meanwhile, it's time for the Steam Awards again. 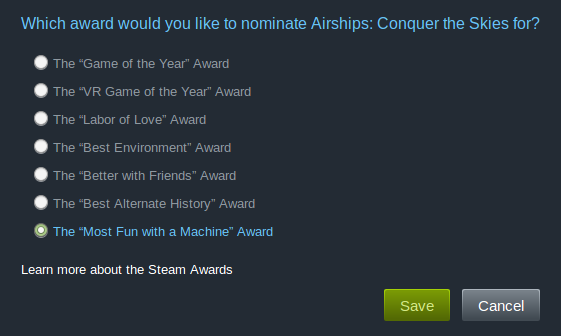 Airships has never won an award. You could help it win an award. "Most Fun with a Machine" seems appropriate, doesn't it?